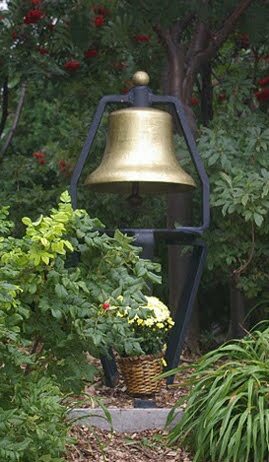 I am almost without words after participating in a very moving vigil/bell ringing Saturday on the one year anniversary of the shooting of 26 innocent victims at an elementary school in Newtown, Connecticut. Hundreds of events were held all over the country on Saturday by various groups working to prevent gun violence. Some were in churches, some outside, some at the headquarters of the NRA in Virginia. All were moving and all were a reminder that we can't continue on the road we are on now where weak gun laws have led to more and more tragic shootings. Gun deaths and injuries have remained at about the same rate for many years now. Though crime has dropped, people are still being shot. Many are saved from their injuries by modern medicine and then live the rest of their lives with the consequences of the damage done by bullets to their bodies. This is why we keep holding vigils and bell ringings and light candles. It is one way to call attention to our nation's pathetic response to the most recent mass shootings and the ignoring of the everyday carnage from gun deaths. The half-hour event concluded with community members taking turns reading the first name of each of the Sandy Hook victims and ringing a bell. It was one of numerous memorial events across the country, many of which were sponsored by groups advocating stricter gun-control laws. That was true for the Myers-Wilkins event, where one of the sponsors was the Northland chapter of the Brady Campaign/Protect Minnesota. Joan Peterson, one of the group’s leaders, said the issue was brought home again on Friday when a teenager opened fire at Arapahoe High School in Colorado, wounding two students before killing himself. But like the parents of Sandy Hook before last Dec. 14, Myers-Wilkins parents have the expectation that their children are safe at school, Duluth Mayor Don Ness said. The entire school practices lockdown drills, she added. But there’s more to the school’s approach than structural changes and drills, Bogen said. The staff strives to make children feel part of the community. Each day opens with pupils in a circle, reciting an anti-bullying pledge. Some of the people at the vigil were members of my church which has always been out in front with support for common sense gun measures. People were talking about the above article in church yesterday before the children's Christmas program began. I asked for prayers for the families of Newtown and for families all over America and now, for the families of those affected by our latest school shooting in Colorado. Yet another angry teen-ager used a gun to exact some sort of revenge or get even with innocent people. A young girl is now fighting for her life as a result and the shooter is dead by his own bullet. Back to the church Christmas program- The families of the 20 children who were massacred at the Sandy Hook elementary school won't be going to holiday programs for their murdered children or celebrating whatever religious traditions they celebrate. That's the thing. Real people are affected by gun violence. It could happen anywhere any time and it does, actually. On purpose, we read only the first names of the Sandy Hook victims because Ben could be any Ben. Ana could be any Ana, Dylan could be any Dylan. One woman who rang the bell Saturday at our vigil got the name of Lauren, one of the slain teachers. This woman's daughter's name is Lauren. One man named Don read the name of Dawn- the principal of the Sandy Hook elementary school. It could have been any Dawn or any Don. The Sandy Hook Elementary School has been torn down, but the yellow house still stands with its plaque attesting to having been built before the founding fathers even promulgated the Second Amendment. That they drafted it as they did seems to me proof they did not imagine anything like the Sandy Hook Massacre could occur. They surely would have been much more precise in their language about the importance of a militia if they had known that as it was written the amendment would help to put guns in the hands of killers at Columbine and Virginia Tech and so many other places. Such a massacre could not have happened back then, and not just because Sandy Hook had only a one-room schoolhouse. The arms that the founding fathers said we had a right to bear were single shot muskets. Everybody save for perhaps one unlucky soul would have had a chance to escape while the would-be mass murderer was forced to reload. What seems certain as you now stand by that yellow house built in the time of the founding fathers is that they would be horrified to know that something they drafted in the name of freedom had contributed to 20 school children being murdered along with six adults. Was this what they had in mind when they formed the wording for the second amendment? I don't think so. There is little hope for any gun control legislation in 2014 because as midterm elections loom large, the NRA and a new 501(c)(4) non-profit, National Association for Gun Rights (NAGR), which touts itself as to the right of the NRA is poised to outspend even the powerful NRA. The group’s source of funding is secret (501 dark money) and its leadership has close ties to Ron and Rand Paul who led the filibuster effort in the Senate to defeat the Toomey-Manchin background check amendment. When Americans heed President Obama’s advice to remember the tragedy that occurred in Newtown Connecticut last year, they may grieve for the 20 children and six adults who were slaughtered like animals. However, the real tragedy is that the gun fanatics and lobbyists have the real power in America in the form of limitless dark money and report cards to keep track of which legislator followed the will of 90% of the population and who obeyed the gun fanatics of America; the NRA, Koch brothers, ALEC, and now NAGR. Sadly, those report cards will be no consolation for the next group of survivors grieving their sons, daughters, mothers, and fathers who will be victims of the what House Republicans will pretend to be looking at; the source of violence in our country, the proliferation of guns. When I was 24 I killed an associate with an assault rifle. Between my father’s suicide with a gun, and committing murder with a gun, I’m part of America’s ugly phenomenon: Upwards of 20,000 people commit suicide with a gun and 11,000 are murdered with a gun annually — yet many dismiss guns as the problem. I do take responsibility for the murder; I’m sorry for taking his life, and all the life he could have had but without a gun I would not have killed… a bold claim that screams rationalization, I know. But God knows I believe this to be true. The mantra “guns don’t kill people, people kill people” reverberates throughout our society. How about “people kill less people without guns?” It’s clear that the only reason I’m alive is because my assailant didn’t have his weapon of choice. Can you imagine if we had access to guns in prison? Perhaps a gun doesn’t entice ones appetite for murder (it did mine though) or suicide. But it is the perfect tool to carry out the act when the thought arises. Many murders and suicides would be fleeting thoughts if guns weren’t so ubiquitous. As our country remains incredibly polarized by his debate, a Machiavellian gun sector sits off to the side enjoying record earnings. I’m all for the market system, but when the products are killing machines, why shouldn’t we tighten measures to keep guns out of the hands of people like me? I suggested a few simple laws that could affect criminal behavior, in my article at the Atlantic online. But Washington does nothing. Truly I’m blown away. Is the status quo really okay? Until we relinquish our apathy I suppose we’ll keep pretending this is the greatest nation on earth as we parade through life to the relentless drumbeat of death. I'm blown away by Lennon's wise observations made from a prison cell. He is asking for change in America. He is asking for our Congress to act. He is asking for what the majority of Americans want but can't seem to get because of the total resistance of a minority of extremists and the gun industry. Who should influence public policy in America? The corporate gun lobby whose profits rely on selling the weapons that have the potential to kill another human being? Or the voices of families, of victims, of those affected by the violence, of the majority of even American gun owners and yes, even those who have perpetrated the violence? Exeter residents came out in force Saturday to soundly defeat an attempt by gun-rights advocates and others to unseat four Town Council members who had asked that the state take over issuing local permits to carry concealed weapons. About 1,850 of Exeter’s 5,001 registered voters (some 37 percent) turned out in bad weather and days before Christmas for the special election that drew some of the state’s leading Democrats, including General Treasurer Gina Raimondo, to Exeter to make last-minute phone calls on behalf of their fellow party members. According to the local board of canvassers, each of the four council members survived the recall attempt by wide margins: Arlene B. Hicks, the council president (681 votes in favor of recall, 1,171 against); William Monahan, the vice president (679 in favor of recall, 1,179 against); Calvin Ellis (681 in favor of recall, 1,171 against); and Robert Johnson (693 in favor of recall, 1,164 against). What does that mean? Just because he hasn't doesn't mean others won't. And further, this will not take his guns away. It may mean that it will now be harder to get his permit to carry his guns in public places since Rhode Island is a "may issue" state. So what? Incidents of using guns for self protection or to stop a crime in public are miniscule compared to incidents of accidental discharges or homicides by "law abiding" conceal carry permit holders. Just see the Ohh Shoot blog, or Kid Shootings or Walmart Shootings or Joe Nocera's Gun Report for more on this and the Violence Policy Center's Concealed Carry Killers report. This kind of fear, paranoia and hysteria about guns is brought to us by the corporate gun lobby. Guns are dangerous weapons designed to kill other people. We need stronger gun laws, not looser laws if we intend to protect our citizens from the devastation of gun violence occurring every day in communities all over America. Let's hope it ends here but nothing ever ends with the ever challenging and ever vitriolic extremists. Before, during and after the memorials for the Sandy Hook victims, some ratcheted up their not so veiled threats against gun violence prevention advocates. What is it about gun violence prevention advocates, especially women, that makes some of the gun rights extremists so angry? When a photo was posted of some women from a Moms Demand Action for Gun Sense in America at a vigil on Saturday, a gun rights activist, using his own name, suggested that they would make good targets for bullets. Senseless. Why? See here for more on this. In Missouri, our state lawmakers turned Newtown into a joke. Elected officials such as Sen. Brian Nieves, R-Washington, trashed the memories of the dead children and their adult protectors, like Victoria Soto, Rachel Davino, Anne Marie Murphy, Lauren Rousseau, Mary Sherlach and Dawn Hochsprung. They filed legislation that would have erased even the most common-sense gun laws in Missouri, seeking to nullify literally every federal gun law ever passed. They sought to criminalize the very law enforcement officials the public expects to respond to such mass shootings, lest they try to take guns from killers, or trace their origins. One year after Newtown, even after such a foolish and unconstitutional law passed and was vetoed, Missouri Republicans are back for a second bite of the federal nullification apple. It’s as if they are symbolically mowing down those 20 children again, using the machine guns they want to make legal in the Show-Me State. We don’t believe most of the lawmakers who vote for such garbage — and that’s the nicest thing we can call it — actually believe that the Second Amendment is under attack, or that President Barack Obama is coming for their guns, or that criminalizing the behavior of police officers is a good idea. If the actions of gun buyers, Congress and state legislators are our guide, 20 dead children did nothing to slake this nation’s lust for violence. God help us. We’ve gone mad. We've been "mad" for a long time in America. We've been afraid of a small minority of crazed people in America and a gun lobby that has managed to scare our politicians out of doing what they know is the right thing to do. And when they try, things get ugly. This is not the America we want or deserve post Sandy Hook. This is the America we have. We are better than this. Enough is enough. Let's get to work to make the changes that will keep us all safe from the gun violence that devastates way too many families. Shame on us all for allowing school shootings and every day shootings to become the "new normal."